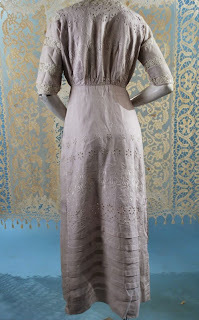 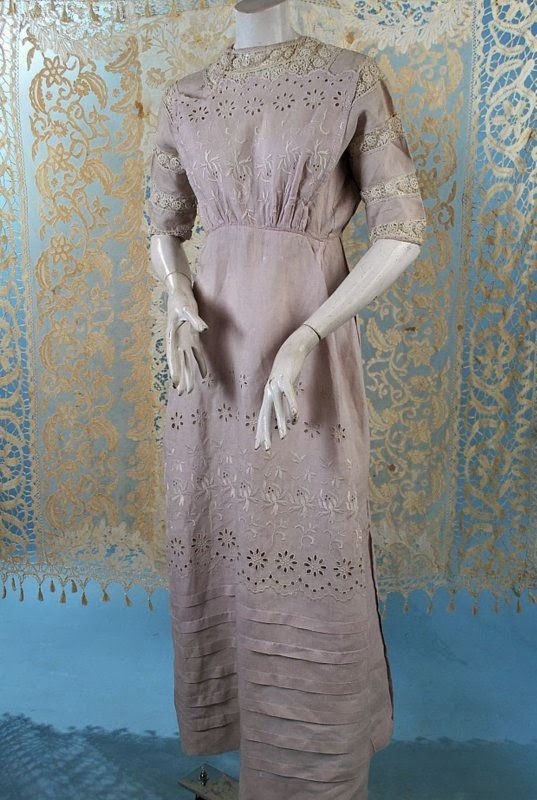 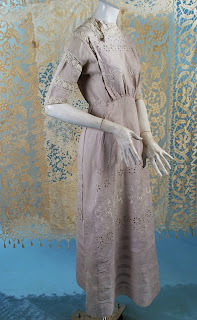 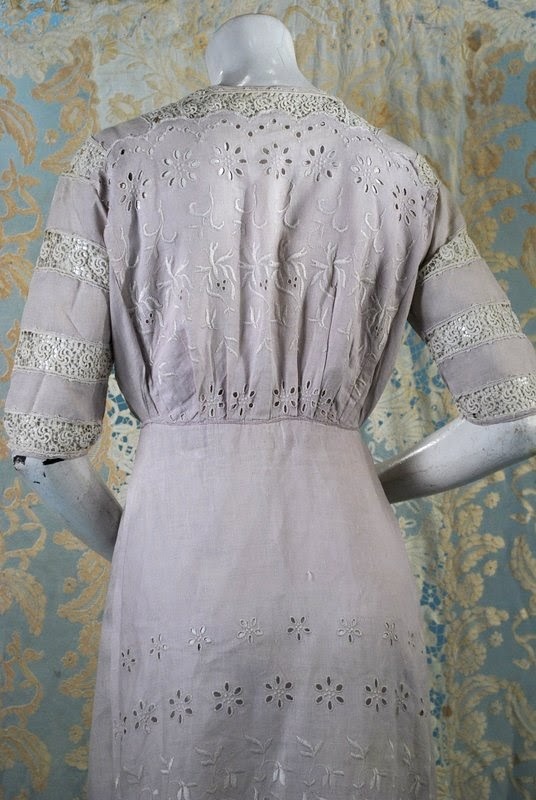 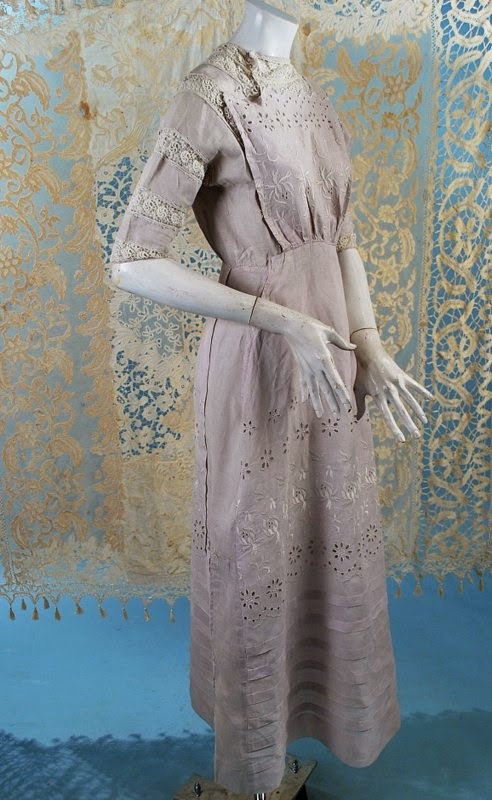 Sweet wisteria colored linen summer frock dating to the first decade of the 20thc. Lace top with hook and eye closures off to one side. 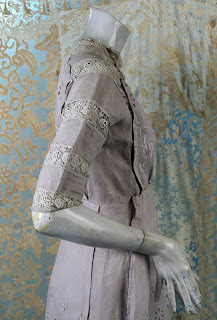 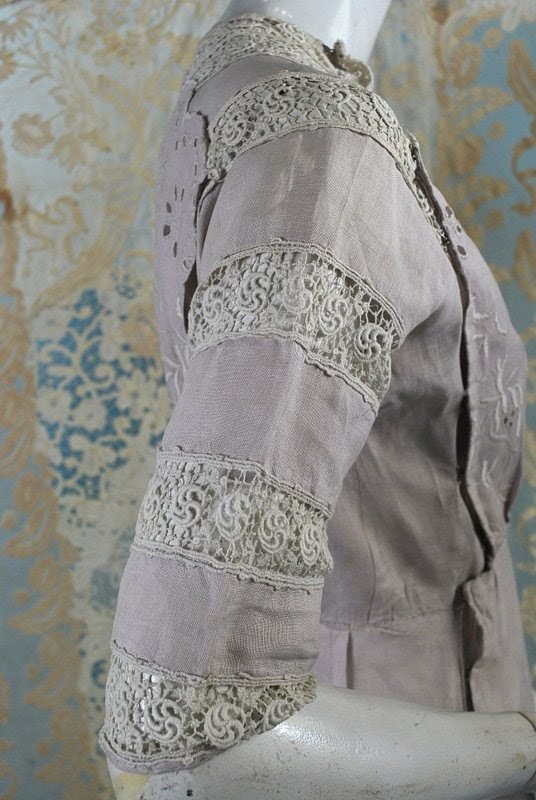 Linen and lace sleeves, linen interior waist cincher, skirt with eyelet, embroidery and horizontal tucks. 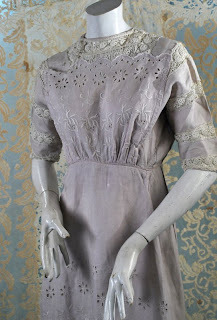 In very good antique uncleaned as found condition missing some hooks and eyes and slight fade to linen along shoulders. 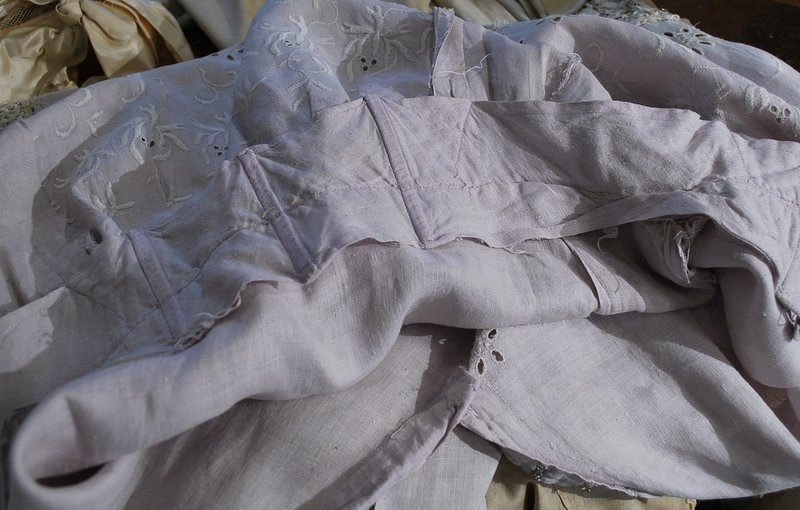 Chest measures 34", waist 24", sleeves 13", length 54", shoulder to waist 14". Although it's rather simple looking at first, I really love the neckline details.